The Don Vardo tiny house is a great starter tiny house project, perfect for a detached office, guest quarters, or a weekend get-away or hide-away. It’s a beautifully designed and inviting space with a dreamy arched ceiling, though many will find it better for occasional use than as a full-time residence (unless you’re Dee, that is). 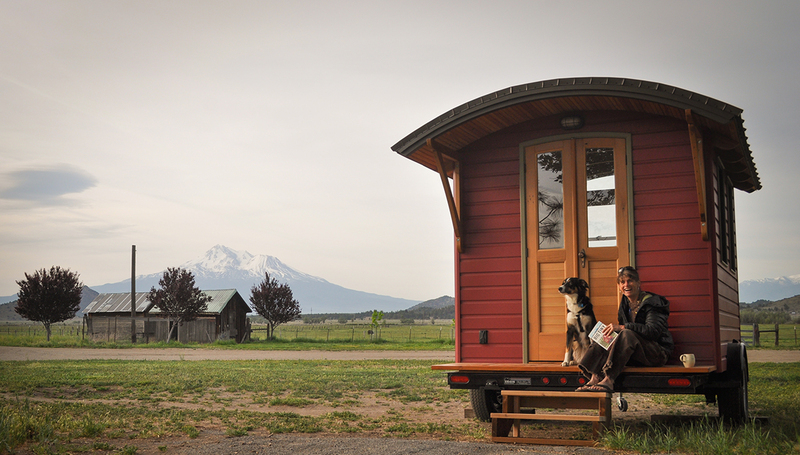 Shorter version: The shorter Don Vardo tiny house design is built on a 10 foot utility trailer with a single axle that can hold up to 5,000 lbs. It weighs appropriately 3,200 lbs depending on interior finishes. The design includes a two-foot-deep exterior covered porch built over the trailer frame, yielding an interior square footage of 56 square feet. Longer version: The longer Don Vardo tiny house design is built on a 12 foot utility trailer with two 5,000 lb axels or two 3,500 lb axels. The design weighs approximately 5,000 lbs depending on interior finishes. The design includes a two-foot-deep drop-down porch that can be attached to the end of the trailer but is not build directly over top of it. The interior space is 88 square feet. The design includes space for a simple bathroom with just a toilet. An outdoor shower could be created above the drop-down porch by mounting a shower head mounted to the left of the door. PAD’s first Don Vardo was designed and built by Katy Anderson in 2010, and is now the home base for a sea-faring couple when they come ashore along the Oregon Coast. Katy’s creative craftspersonship and strategic, elegant integration of built-in design elements is an inspiration to any tiny-house lover. It has been offered on the Mother Nature Network and in Oregon Home Magazine. Dee Williams liked the design so much that she had Katy build her another Don Vardo as her new, tinier home. Detailed instructions for how to construct beautiful rafters, something not commonly offered in a plan package. 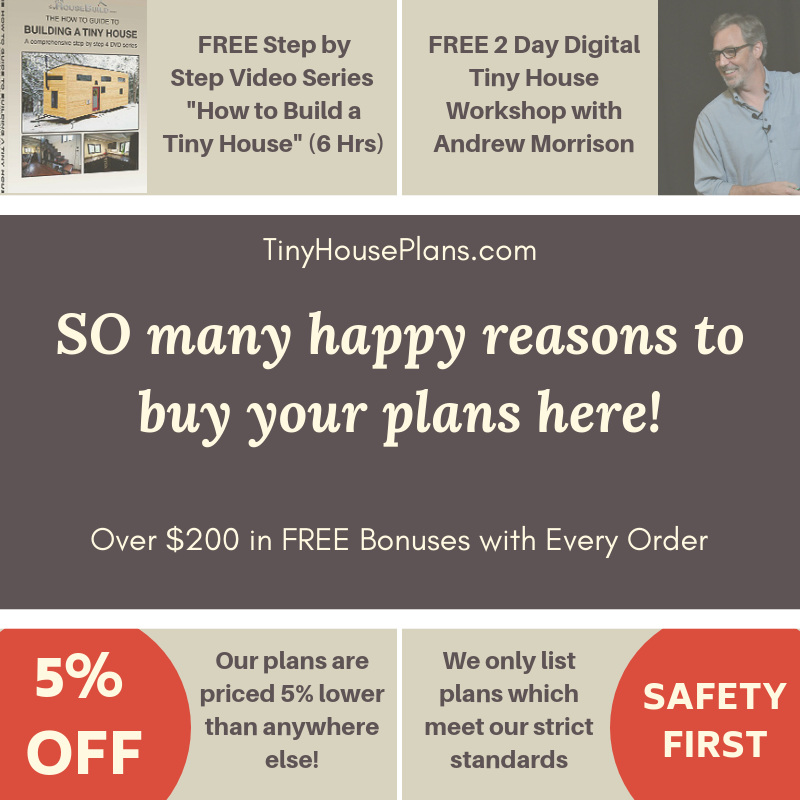 The Don Vardo tiny house plans set does not include electrical and plumbing diagrams, appliance specifications, and interior sections to show cabinetry details and counter heights. Why not? Because we encourage you to install tiny house systems, storage and features that will fit your unique needs, not someone else’s. Photos of the interior serve as examples of what’s possible, but the sky’s the limit! Where can I buy curved metal roofing? Dee’s vardos have typically used standing seam metal roofing, which is then sliprolled to the appropriate curve called for in the plans. This curve isn’t available off the shelf, but metal workers often offer this service. To find a professional near you, try googling for “metal fabricators” or contacting the stores who sell standing seam metal roofing and seeing if they have any referrals. 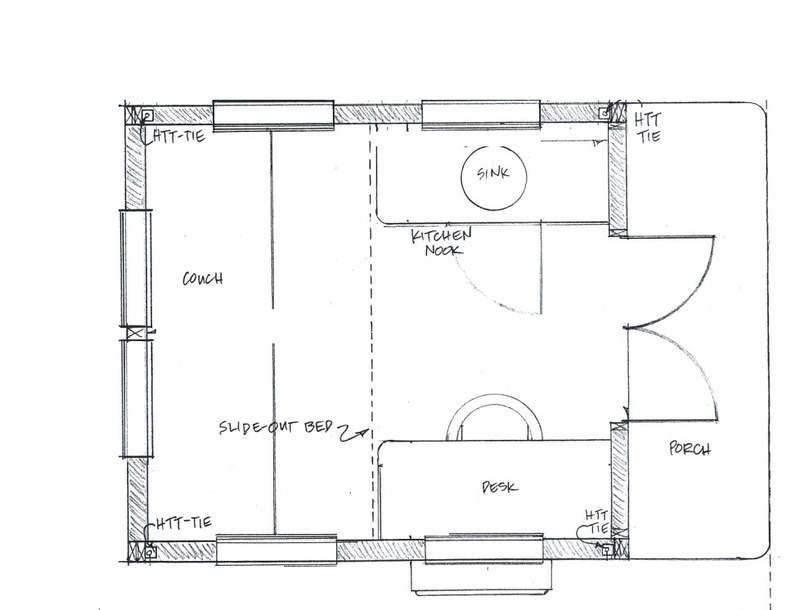 This plan set does not include electrical and plumbing diagrams, appliance specifications, and interior sections to show cabinetry details and counter heights. Why not? Because we encourage you to install tiny house systems, storage and features that will fit your unique needs, not someone else’s. Photos of the interior serve as examples of what’s possible, but the sky’s the limit!